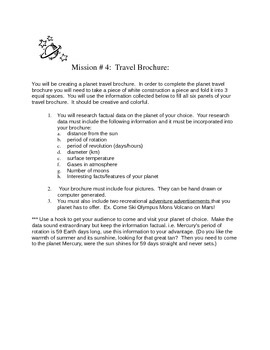 You can use this packet as individual assignments or as a project that is used to cover the Solar System. 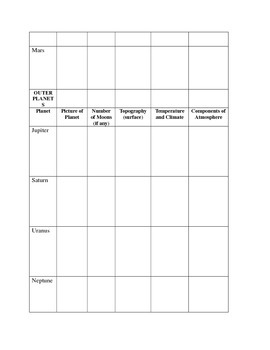 I personally used this as a project for my sixth grade Earth Science students, but it may be adapted for different grade levels. 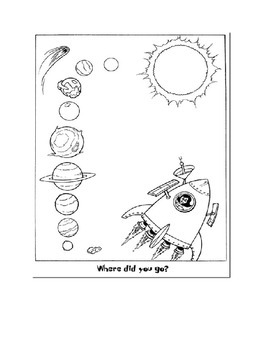 When assigned as a project I called it “Project Explore!” Students were introduced to the project when I explained to them that they were all becoming space explorers. Over the next few weeks they would have to complete individual missions and report their findings back to me, the space commander. At the end of all of their missions, they would report out to their fellow colleagues their findings. The project can be designed to cover a span of 2-4 weeks depending on how much independent work/time students are given to complete each mission. 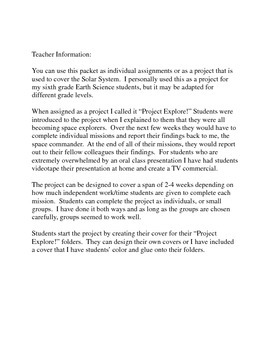 Students can complete the project as individuals, or small groups. I have done it both ways and as long as the groups are chosen carefully, groups seemed to work well.